FRESNO, Calif. (KFSN) -- At an age when most of us are just starting to think about moving away from home, Mason Andrews is ready to see the world, all of it. 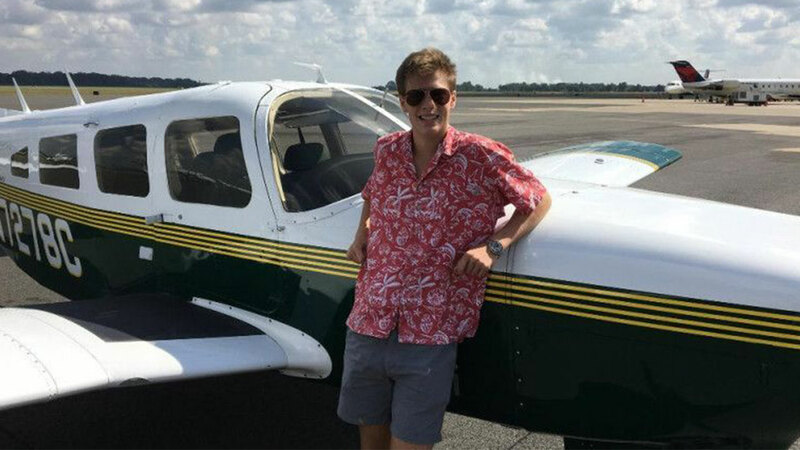 At 18-years-old, Mason is about to embark on a trip that will make him the youngest person to fly solo around the world. For 40 days, Mason will fly his small plane across the globe. He's scheduled stops at the Grand Canyon, in Paris, and dozens of other world-famous landmarks. Mason explains what he is packing for the trip, "Just about all the things you bring with you on a camping trip for 40 days, plus a few hundred gallons of fuel and a lot of camera gear." Mason's dad Jeb said, "We said no the first two or three times, and he came asked, and he laid out a plan and broke it all down, and finally I said yes." Breaking a world record isn't Mason's only goal. He's also raising money and awareness for MedCamps, a Louisana camp for children with disabilities. Mason has been a counselor there for several summers.